Part of the answer lies in the contradictory nature of legal profession. Most lawyers now are private actors in capitalist economy, delivering a commodity called legal services for a fee. 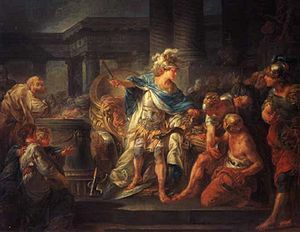 Traditionally, though, lawyers were regarded as at least quasi-government officials who, in the beginning and for many centuries were actually forbidden from receiving fees (as noted by Mary Beard in her excellent book on ancient Rome, the cradle of our legal system, SPQR). Their cause was justice; accepting money sullies it. This tradition girds the rather complex system of ethical rules that the State Bar enforces, as well as the idea that these quasi-governmental officials still have a obligation to provide that at least some of that commodity for free (see ABA Model Rule 6.1. ) Part of the disagreement between the Assembly and the Supreme Court is the extent to which the State Bar (or whatever might succeed it) should focus on its role as a government regulator of the providers of this commodity, or whether it should embrace the broader, older vision of the self-policing guardians of justice. 6001.1. (a) Protection of the public shall be the highest priority for the State Bar of California and the board of trustees in exercising their licensing, regulatory, and disciplinary functions. Whenever While the State Bar has jurisdiction over a broad array of important legal functions, whenever the protection of the public is inconsistent with other interests sought to be promoted, the protection of the public shall be paramount. (1) Attorneys shall be competent and ethical and comply with all state and federal laws, as well as all standards of professional conduct developed by the State Bar. (2) Appropriate discipline shall be imposed upon attorneys who fail to comply with those standards and appropriate legal sanctions shall be imposed upon nonattorneys who attempt to practice law without a license. (3) Competent and professional legal services shall be equally available and delivered without regard to income. (4) The legal profession shall represent the broad diversity of California. (a)Protection of the public shall be the highest priority for the State Bar of California and the board of trustees in exercising their licensing, regulatory, and disciplinary functions. Whenever the protection of the public is inconsistent with other interests sought to be promoted, the protection of the public shall be paramount. (1)Administration of the bar admissions and law school accreditation processes, recordkeeping and licensing functions, and the lawyer discipline system. (2)Administration of programs that advance professional competence and ethics, support the prevention of discipline problems before they occur, address the unlawful practice of law, and support the judicial selection process. (3)Administration of programs that support the fair and equal administration of justice, effective functioning of the legal system, and diversity of the profession. The Supreme Court very much wants to keep the State Bar in the business of delivering justice, as opposed to merely regulating the providers of legal services. The problem is that this expansive definition allows the State Bar endless opportunities to engage in “mission creep” at the expense of losing focus on the core function of regulation. But that is exactly what some “stakeholders” want: the paternalistic vision of the original unified State Bar of California that could do just about anything “pertaining to he advancement of the science of jurisprudence or to the advancement of the administration of justice” in the charmingly naive language of Business and Professions Code section 6031, which also finds no contradiction in including within that definition “all matters that may advance the professional interests of the members of the State Bar”. Trust us, we’re lawyers! It is hard to see how this schism can be ever be bridged. Former Executive Director of the State Bar Bob Hawley, who knows more about this peculiar institution than any other person in earth, doesn’t think it can be. He may be right; if so, we will just have to live with it. Something truly unprecedented is going on now in Sacramento — a bare knuckle brawl over the future of the State Bar between the California Supreme Court, and its supporters in the State Senate, and the State Assembly. The battleground for the brawl is the annual bill authorizing the State Bar to assess its operating fees from the members of the State Bar — this year it is AB 2878. Originally rejected by Assembly by a vote of 50-10, it was amended to provide for a public member majority Board of Trustees and the appointment of a Commission to look yet again at the question, So amended, it was reported out of the Assembly on a vote of 79 to 0. Only to meet a buzzsaw in State Senate, in the person of Senator Hannah Beth-Jackson, who stripped out these two key provisions from AB 2878. Just to make things more confusing, the State Assembly then conjured up a competing bill from the shell of SB 846, which also dropped the provision for a majority public member Board and the idea of new governance commission. As widely reported, these were provisions opposed by the Chief Justice (and presumably) the Court as a whole. All this remarkable enough. But extraordinary in my view is very public role played by the Chief Justice in speaking out against AB 2878. 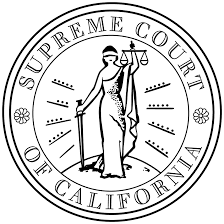 The California Supreme Court is highly involved in the discipline system; the State Bar is, after all, its administrative arm for discipline and admissions. In the past, it has always worked behind the curtain, obscuring its role, unbound, as a co-equal branch of government, to the open meeting laws, the Legislature has decreed for itself, and its creatures, most recently he Legislatively-created State Bar of California. Now, in the person of our formidable Chief Justice Tani Cantil Sakauye, the Supreme Court is stepping up to battle in a way so public as to garner a very grateful “thank you” from the State Bar’s Executive Director Elizabeth Parker. How will the Assembly react to SB 846? Plans are underway for the real possibility that there will be no dues bill this year and the Supreme Court will have to order members of the State Bar to pay a fee to the State Bar to continue its operations, just as it did in 1998 with its decision in In Re Attorney Discipline System. In 1998, the Court dithered even after State Bar staff was laid off and even after the Legislature adjourned without passing a dues bill at the end of August 1998. That will not happen this time. And in asserting its independence from at least one house of the Legislature, what other avenues might the Court explore with its plenary power in this area? Quoting Senator Joe Dunn is probably not the most politic of moves, but right now, it looks like we really do have a new sheriff in town: our Chief Justice. 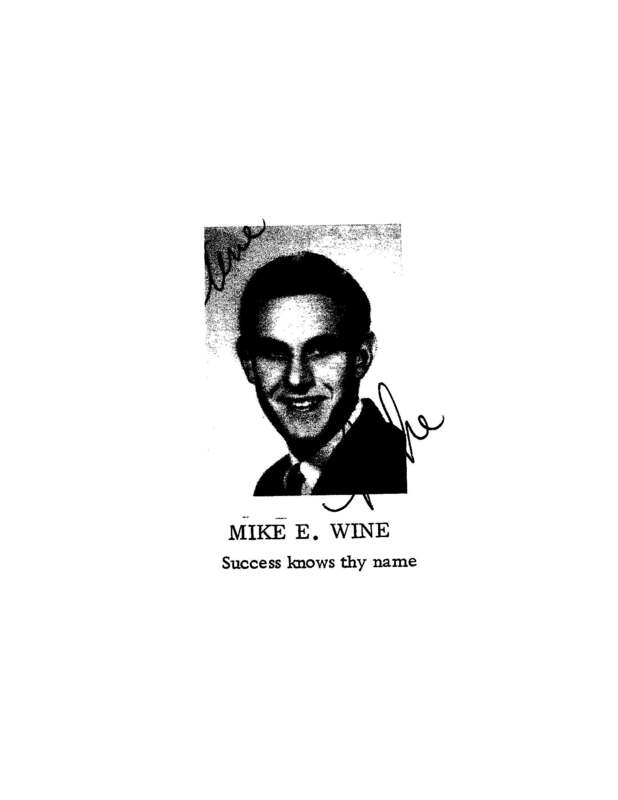 The small world of California discipline lost one of its most liked and respected members with the untimely death of Michael Wine this last weekend. Many of us met Michael when he served as a judge pro tem of the State Bar Court in the early 1990s. Michael left the Court and became a discipline defense lawyer and a founding member of the Association of Discipline Defense Counsel. Later, his leadership skills would lead him to become President of that organization. He was smart, funny and worked hard for his clients. Michael got along with everybody, even Deputy Trial Counsel. A graduate of UCLA Law School, he was a lifelong Bruin and attended UCLA sporting events with Bruins from both sides of the discipline world. He was also a truly devoted to his home team, the LA Dodgers. Michael was my colleague and my friend, and I (and many others) will miss him dearly. The axis of dysfunction that had received the most attention in the recent discussion of The State Bar of California and its future is the “Regulator v. Trade Association” axis. But there is another axis of dysfunction the State Bar spins upon. That one got its turn in the spotlight this week. It’s the “Legislature v. Supreme Court” axis. Unlike the lawyer regulation planets in other solar systems, ours follows a tortured orbit between the gravitational fields of double star, the Legislature and the high Court. That orbit has never been as tortured as it was this week. On Tuesday the Assembly overwhelmingly rejected an amended version of the State Bar fee bill AB 2878 by a vote of 88 to 7. That bill would have made only modest changes in the governing structure of the Board of Trustees by eliminating the six Trustee positions that are currently elected by the lawyers of California. This weak bill came after the Chief Justice publicly warned against placing the State Bar on a path to disunification before the Supreme Court got to weigh in on the issue and reportedly much discussion between the Court and Legislature. Just two days later, with major amendments, the re-tooled AB 2878 passed the Assembly 75 to 0. The Supreme Court very clearly would like to maintain the unified bar structure that we have now. The stated reason is concern that disunification would lead to less robust efforts to address access to justice issues. But another reason may be that Supreme Court reluctance to take on a more direct, active and visible role in managing the discipline machinery. This would seem to be a natural corollary of disunification; as proof, consider Bar Trustee Dennis Mangers proposal that Supreme Court assume the task of assessing fees for operation of the discipline system, as it did the last time the Legislature was unable to pass a fee bill. It’s safe to assume that this suggestion was met with less than enthusiasm by the Chief Justice. We can speculate about the discussions between the Mark Stone and the High Court, as the judicial branch is not subject to the open meeting laws but the weak bill almost certainly reflected the Court’s desire to preserve the status quo as much as possible. Reconstitute the bar’s board of trustees to include a majority of non-lawyer members. All actions taken by the board would have to be approved by a majority of those so-called public members. eferring the most controversial issue (disunification) to blue-ribbon committee is a classic way to compromise. Create a nine-member Bar Governance Committee, appointed by the chief justice, the governor and legislative leaders, charged with reviewing possible additional governance changes, including de-unification. The committee would report back to the Legislature with recommendations by April 2017. Set new requirements for the bar to pursue complaints about so-called notarios and others accused of practicing law without a license. Require the bar to submit to an annual state audit of its financial affairs. Moving to a majority public member board has been a goal of consumer advocates, including the Center For Public Interest Law. One of surprising aspects of the bll rejected by Assembly was that it left a majority lawyer member board intact and this was probably the principal reason why it was rejected. Like all other professions, lawyers will now regulated by a board with a non-profession majority. The Case of the Rogue Teeth Whiteners fortunately came along at just the right time to provide a convenient hook to hang this change on. Whether this new structure makes a substantial difference in the way discipline operates is open to question but, however optical this change may be, it can only be a good thing. 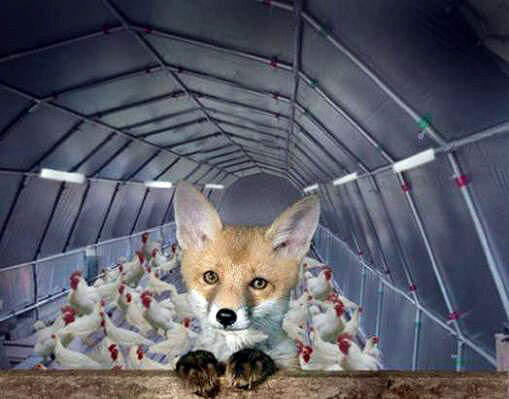 Perhaps it will finally kill off the Fox Guarding the Henhouse meme. Punting a controversial issue to a blue-ribbon commission is a time honored way to forge compromise. So we will have yet another study of the State Bar, on top of the work now being performed by the last commission (GITPITF.) At least it give us a less unwieldy acronym. This is the comprehensive study that the Chief Justice called for. It is also a firebreak to the prarie fire of disunification, one last chance to put the house in order, to demonstrate that dysfunction axis no. 1 is really a virtue. UPL enforcment is a Legislative priority that hints at the more expansive role that probably lies in any regulator’s future. Annual audits seem to be obvious given the demonstrated financial mismanagement of recent years. The appointment of a performance monitor by the California Supreme Court is the most puzzling new development. It calls to mind Prof. Robert Fellmeth’s service as the Legislature’s discipline monitor and architect of the current discipline system in the late 1980’s. It also brings to mind Justice Lui’s service as special master to oversee the spending of Supreme Court special assessment money in 1999. On its face, it seems to fly in the face of the idea that the Supreme Court wants less supervisorial responsibility over the discipline system. The actual extent of the Supreme Court’s direct interaction with the discipline system is unknown because of its exemption from the open meeting laws. But it may be that what the Court really wants is just less visible supervisorial responsibility. There are contradictions involved in the exercise of its inherent power in this area. Within it sphere the Court exercises all the three familiar functions of the government at large, executive, legislative and judicial. The Court needs to have some distance from the discipline process to carry off that balancing act. But having been thrust more directly into the process by the Supreme Court appointees to the Board created by the last round of governance reform. perhaps the Court realizes that it needs to have a direct role in the discipline system, especially given the structure of the new Board, with its majority of public members. This new position, even temporary as it is, might be a counterweight to what might be seen as a significant shift of power to public members appointed by the political branches. The Legislation also gives the Supreme Court another significant plum, the power to appoint the President and Vice President of the Board of Trustees from among their appointed members. This will end the elections and associated rituals that eat up about half of an average year for the Board. A most welcome development that moves the State Bar even further away from the appearance of a trade association. The most significant aspect of the new and improved AB 2878 is that State Bar has avoided disunification, at least for now. And it has because the California Supreme Court doesn’t want it disunified, at least for now. The Court rescued the State Bar, just as did in 1998 with its decision in In Re Attorney Discipline System. But the battle for the shape of legal service regulation now moves to a new phase.